The Brown Cow Inn is one of the oldest pubs in Withnell, situated just on the border between Higher Wheelton and Withnell in a property known as "Roundabout Cottage". 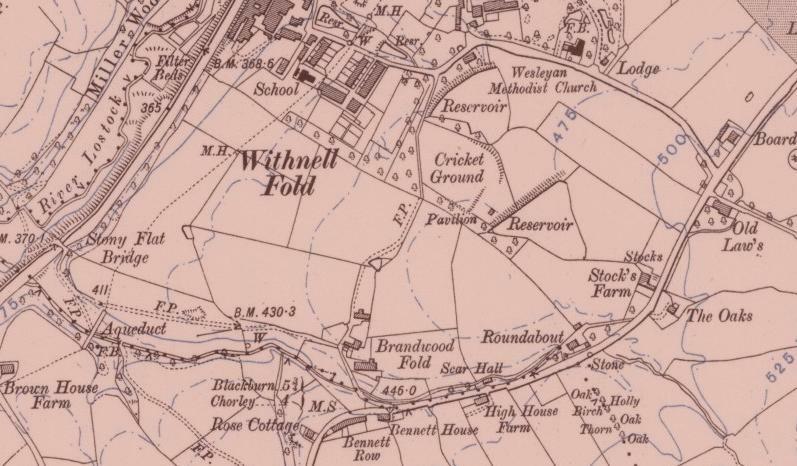 Withnell Fold, a model village and paper mill were built on a green-field site in 1843. 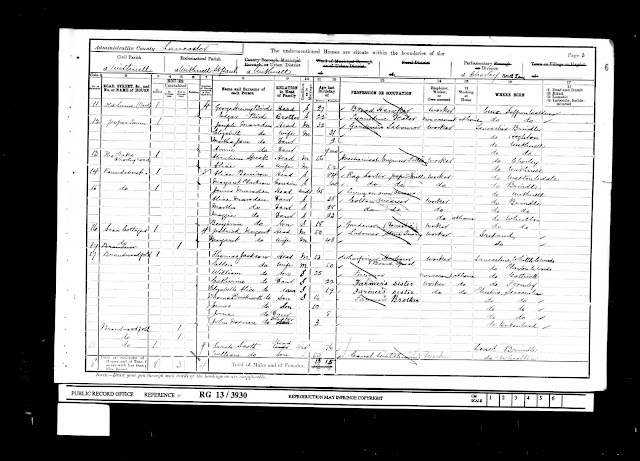 The owner and builder was Thomas Blinkhorn Parke (1823-1885), the son of Robert Park, a local cotton mill owner. 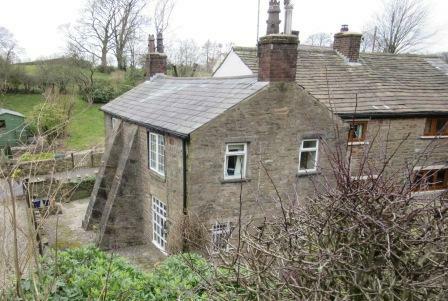 The houses in Withnell Fold had gardens and outside toilets. 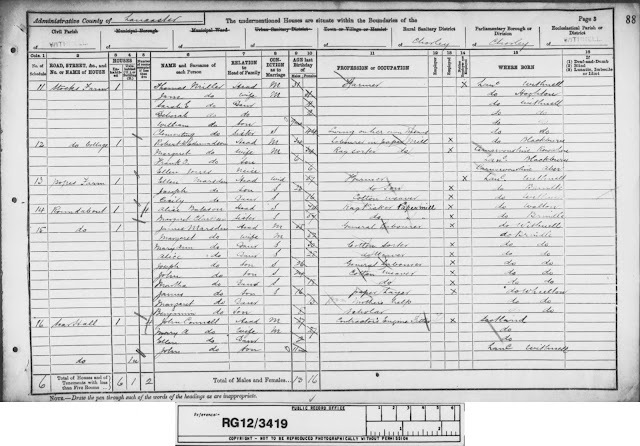 The mill was started in 1843 and opened and began production on 15 January 1844, with one machine.Three years later a second machine was installed and the business was so successful that a third machine was installed in 1855. 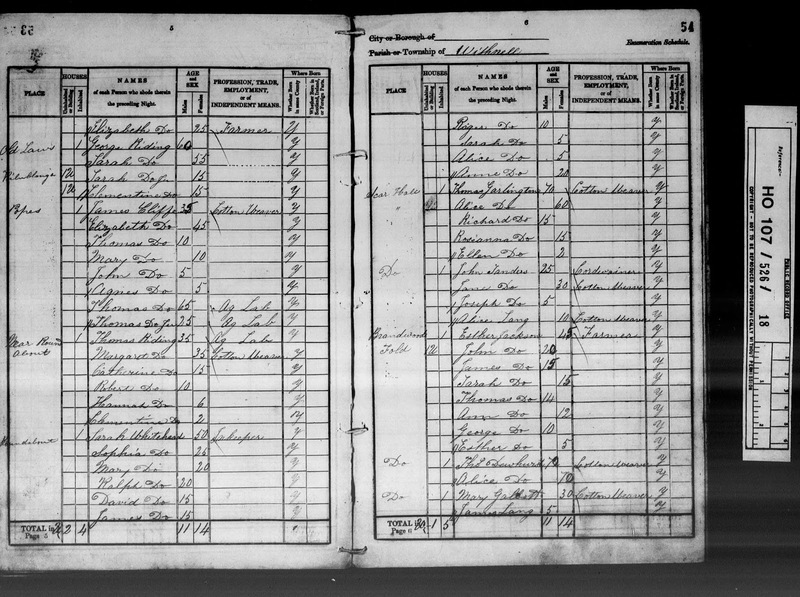 The machines were known as "74", "66" and "60", the widths of the paper produced. The quality and variety of the paper improved and in 1849 tissue paper was made, followed in 1856 by coloured tissue. Writing papers were introduced in 1863 and had a reputation for being of the finest quality. 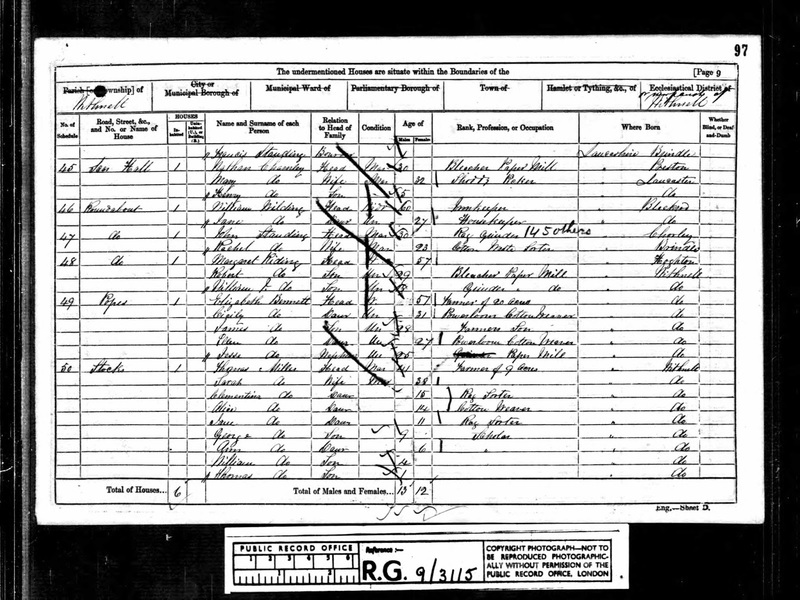 Cartridge paper came in 1878. 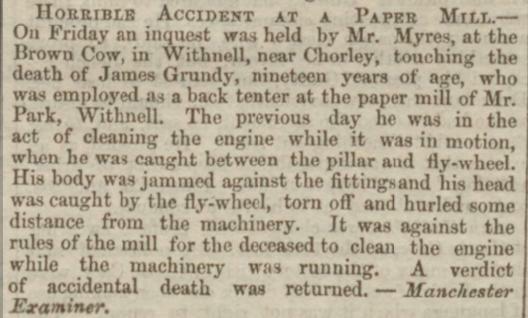 The mill supplied newsprint for Preston, Bolton and Liverpool newspapers. 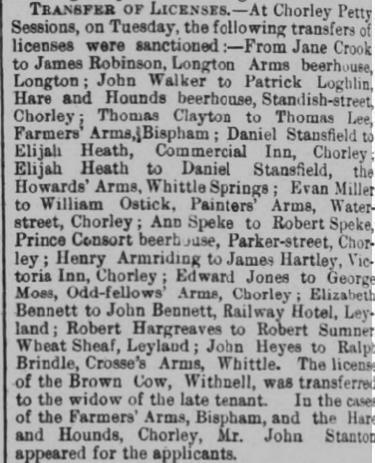 The omission of any Inn within the plans for the village was no accident I suspect although as we see later, the owners did utilise the Brown Cow for occasional social events for their workers. 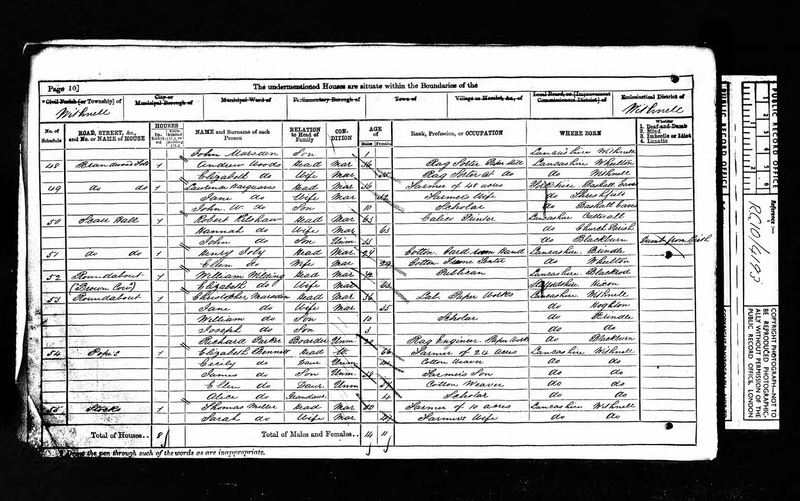 The first listed landlord was a Ralph Whitehead and the first record I can find of Ralph was his marriage in 1812. Whilst there is no occupation listed on the marriage record, when he and Sarah had their daughter baptised in 1820 he was already working in the trade. 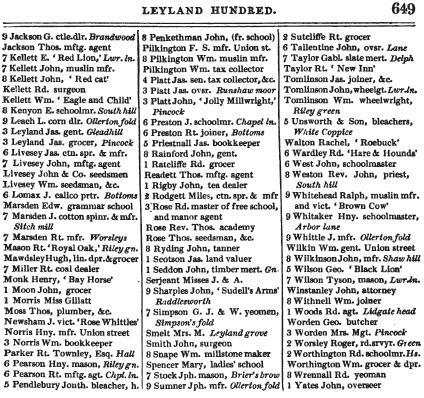 He was subsequently officially listed on the 1824 Directory of the Leyland Hundred below as a muslin manufacturer and victualler (half way down the far right column). Ralph was 20 years his wife's senior and died in 1836 at the age of 64 years, leaving Sarah to run the Brown Cow alone. He was buried at St James' in nearby Brindle. 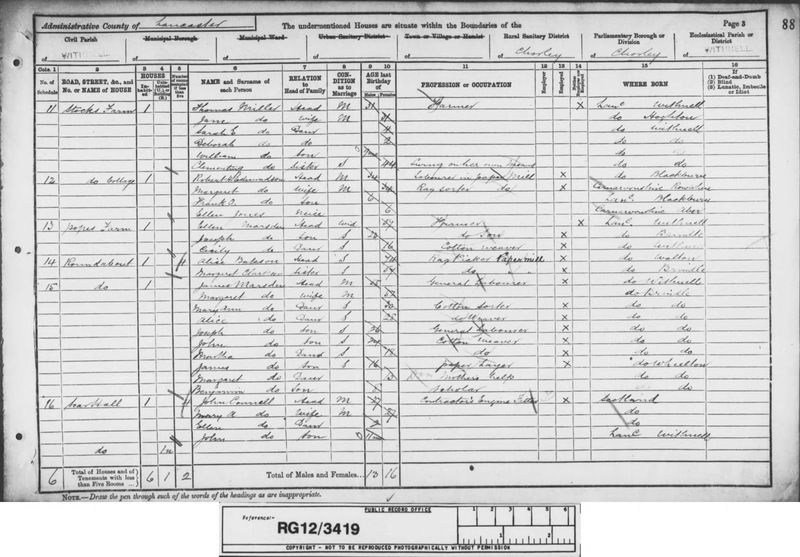 Listed landlords at the Brown Cow Inn were therefore Ralph Whitehead (1820-1836), Sarah Whitehead (1836-61), William Wilding (1861-74), Elizabeth Wilding (1874-81) and Thomas Emmett (1881). 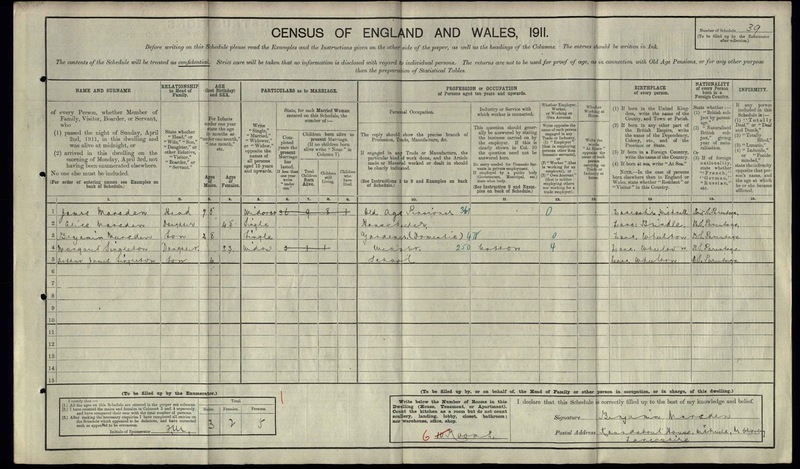 All census records after this time show roundabout cottage being used as a dwelling. 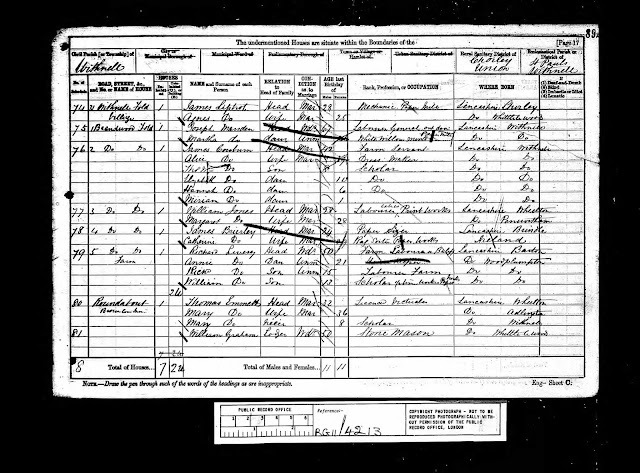 Sarah's family, the Wadsworths it would appear had beer running through their blood as her sister Judith Wadsworth was the landlady at the Cricketer's Arms in Brinscall from 1841 to 1872 and brother William ran the Cross Keys in Brindle in the 1840's. 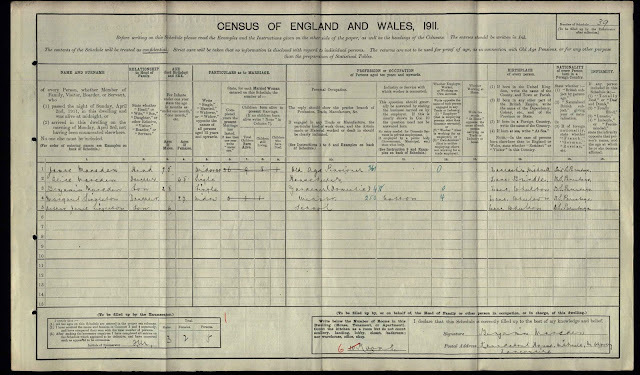 The 1861 census for the Cricketer's also shows Sarah children living and working at there. 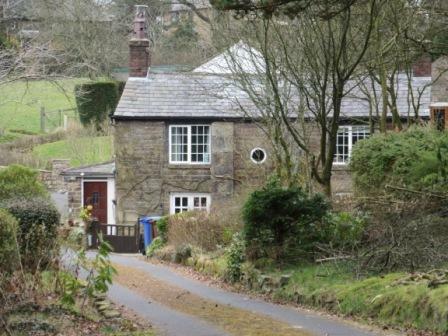 For a short period after the Inn closed it retained the name, Brown Cow Cottage as shown below but thereafter it has reverted to Roundabout Cottage. 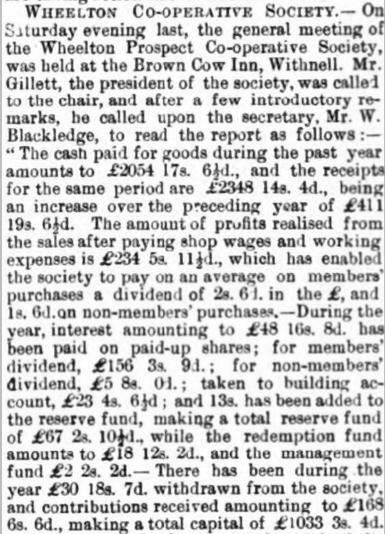 Reference is made to the Inn by Mr. Chorley George Birtill in his book, "Over the Five Barred Gate" which brings together stories and some history of the area around Whittle-le-Woods and surrounding South Ribble areas through the late 1960's. If you take the road to Blackburn out of Higher Wheelton, you are bound to notice a side road which runs into a hollow, almost parallel with the main road. This is in fact a part of the old turnpike road of the Finnington and Chorley Trust. One of the old toll houses still stands at the junction with the Preston-Blackburn Road, at Finnington. The hollow is now a cul-de-sac as a result of the road line being changed to get rid of a dangerous bend. This has left in comparative seclusion, an interesting stone building, which has buttressed walls strong enough for a castle. 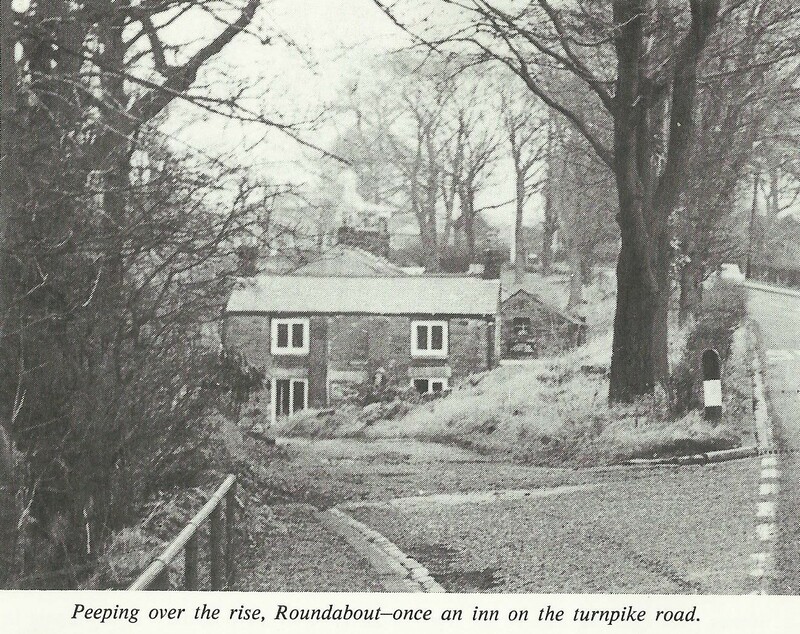 It was however, a pub known as the "Roundabout". 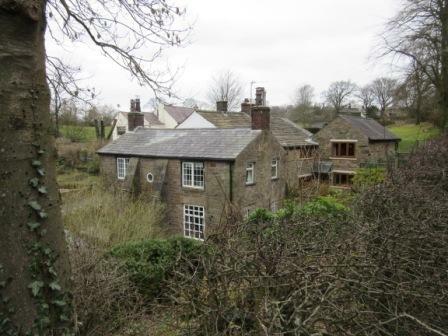 It is also the first building in Withnell along this road. The boundary actually runs through the front garden.